I had the opportunity this weekend to face paint at a birthday party with one of the most fun concepts ever! And the four-year-old birthday girl's parents definitely pulled it off. 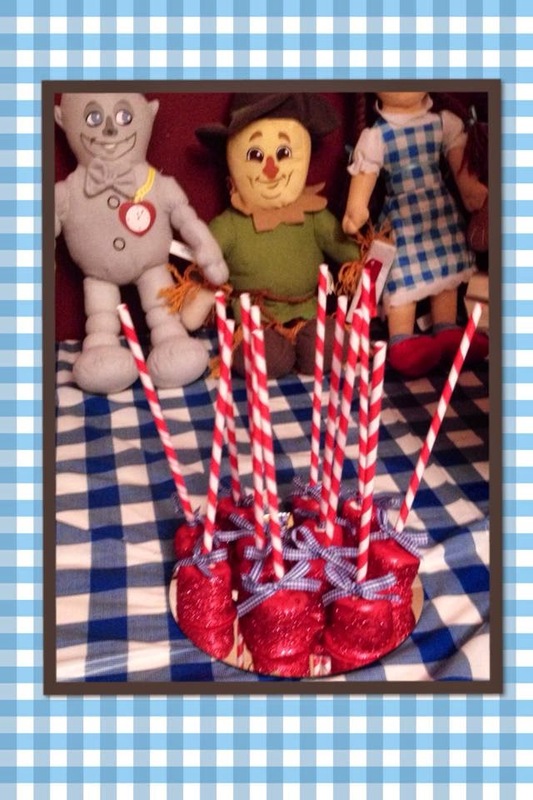 They rented the upstairs of a local movie theater on Saturday morning for a special showing of the Wizard of Oz! There was a "yellow brick road" purchased from a party store leading into the theater where the movie was showing, and a full-sized Glinda. 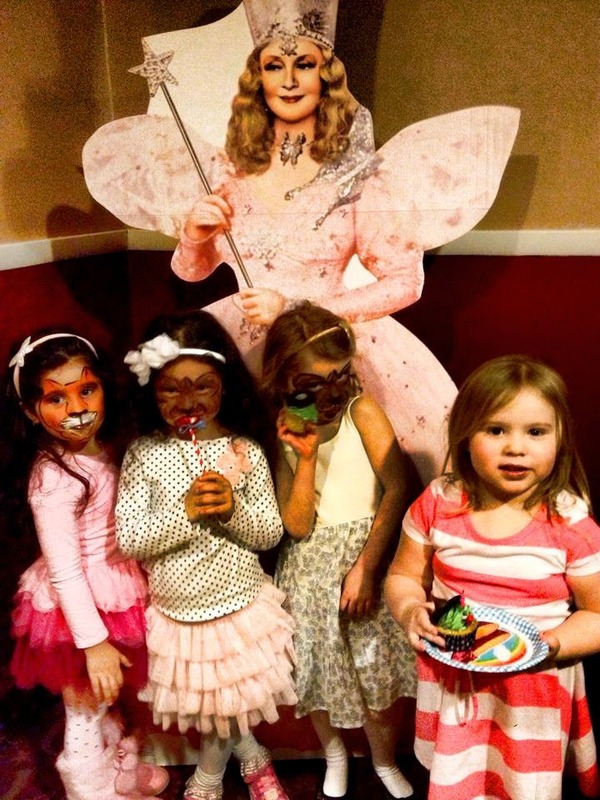 I was there to do themed face painting, and even got to see some of the movie! You may be wondering about that orange face on the left and how it relates... the very decisive young lady really wanted an orange tiger, so we compromised on a modified orange lion. It worked, and she was happy, always my goal. The birthday girl got Toto, which of course made that the popular face of the morning. Cowardly lions were pretty popular too, and these cute siblings made their own pride! I did have a couple of Wicked Witch of the Wests, which of course you know was fun for me. And another compromise when my butterfly requester agreed to an "Over the Rainbow" butterfly. And last, but not least, one of my Glindas realized that her bangs were covering her painting more than she liked, so she came on back for a rainbow. But I never finished talking about the rest of the party carrying the theme! 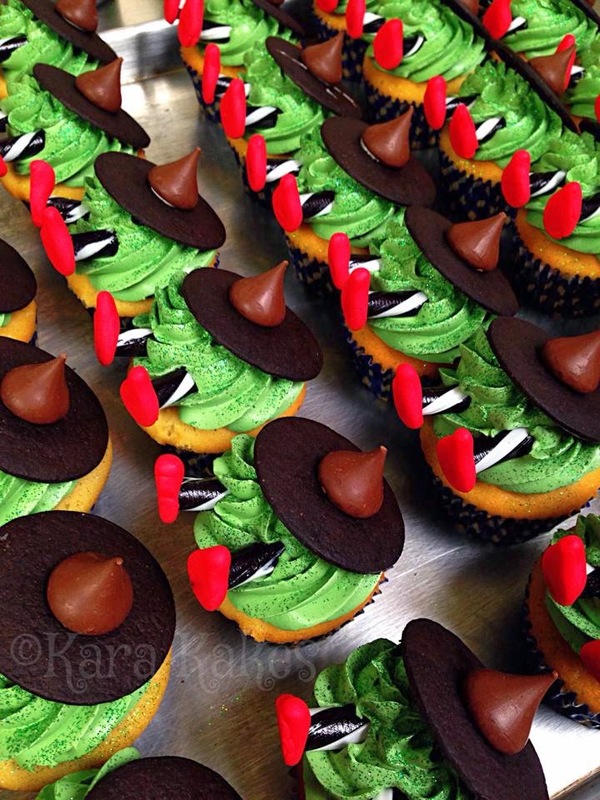 There were Wicked Witch cupcakes all in a tower from a phenomenal local baker, Kara Kakes. If you take a look at her Facebook page, you'll see some incredible other work she's done, but check out these in the meantime! Are those not amazing? 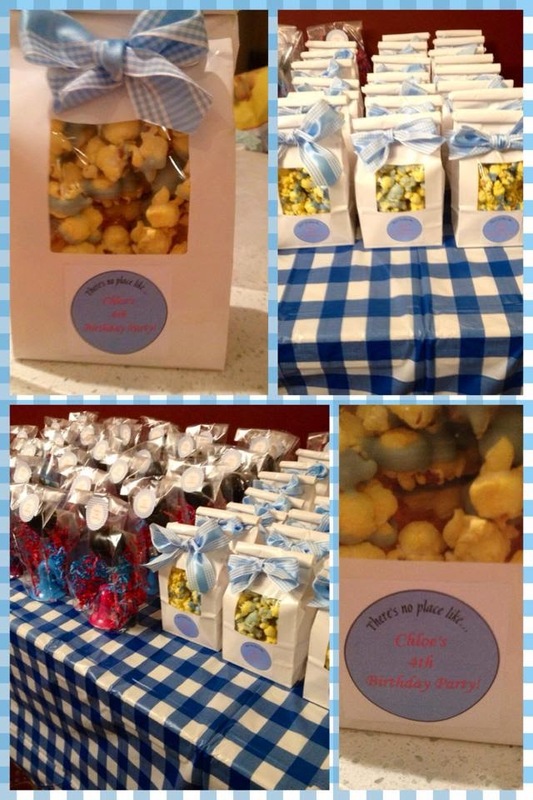 And then for favors, there were Wizard of Oz themed bags of popcorn in blue with gingham bows and ruby red glitter marshmallow pops by another local food artist, Sally of Dipped Delicious. Too cute! Too delicious! In fact, one girl who'd started in on her popcorn handed the bag to her dad so she could get painted, and admonished him, "Don't eat it!" Apparently it was irresistible, though, because he did eat some while I was painting her. Ha! Take a look at the Dipped Delicious FB page to see other insanely delicious looking confections. And if you wanted all three of us for your party? 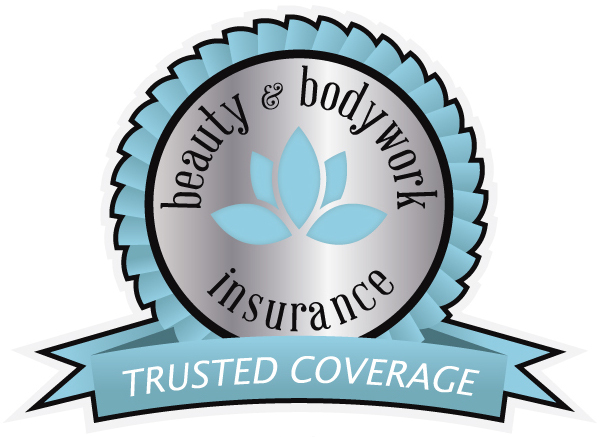 I can contact them and help you out!